Does Your Bedroom Need a Skylight? Do you love watching the night sky while relaxing and wish you could fall asleep with the stars overhead? While it is not practical to always sleep in your backyard, what would the neighbors think? The good news is that you can get this same effect by installing a skylight in your bedroom. Now, you have to remember, a skylight means that you may be woken up by early morning light so if you like to sleep in; this may not be the right choice for you. For those who wake up with sun however, this can be the perfect addition to your home interior design. The following are some tips for planning your bedroom skylight design. Once you have decided that you can’t live without a skylight to add natural lighting to your bedroom and easy star gazing as you fall asleep, you need to contact some professionals to help. There is more to putting in a skylight than cutting a hole in your ceiling and roof and slapping a piece of glass in place. Florida interior designers have a wealth of information on these types of projects and can direct you to a contractor who is both skilled and experienced in the placement and installation of skylights. They can also give you information on what type of skylight would be appropriate for your bedroom and that can offer you the best view of the sky. If you want to get the most out of your skylight then it has to be placed perfectly in relation to where the sun is positioned during certain parts of the day. It is not like putting up a lamp or chandelier that just gives off light. The sun also creates heat, in the winter this is not as much of a problem as it would be in the summer when you don’t want or need any extra heat. Where you place your skylight can add the ambient light that you want without being affected by the heat of the sun. Once you have the proper placement, you can discuss with your home interior decorator where the rest of your furniture should be placed. One of the largest mistakes people make is just putting in a small skylight for just a wee bit of sun. A small skylight is not going to allow you to stargaze at night and it certainly won’t offer you much light either. 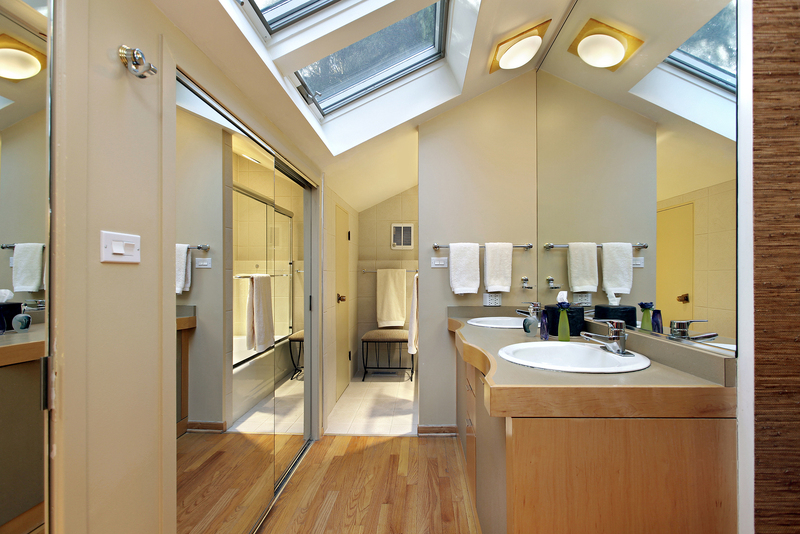 While money may not be an issue, you may think that a smaller skylight would be a better option. Actually, it really doesn’t cost much more to put in a larger one in comparison to a small one. This is already an investment so why take all the time and effort for what amounts to a pinpoint of light? If you want to bring the outdoor sky indoors into your bedroom, then consider a skylight. Just remember to plan the project with a contractor and to make sure the skylight is large enough to offer all the features you are looking for. Curtains or Blinds – Which is More Luxurious for Your Home?